The 2017 Subaru XV, Mazda CX-3 and Toyota C-HR. DOWNSIZING isn't just happening in real estate. This is the automotive equivalent of moving from a big house in the suburbs to a luxury apartment. The kids have left home, there's no need for a large car and it's time to treat yourself. These circa-$40,000 examples are loaded with tech to take some of the stress out of the daily grind. They're also ideal for singles with a sense of adventure - or couples about to start a family. 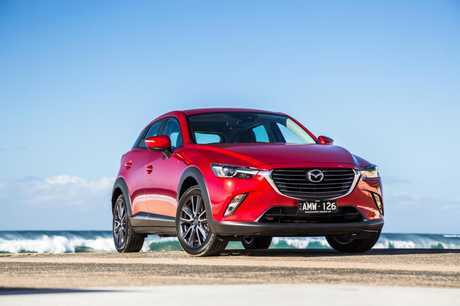 The best-selling CX-3 is the darling of the city-SUV set. Its sleek styling gets buyers into showrooms; few seem to leave without one. It's one of the smallest in the class, in contrast to how big it looks in the pictures. 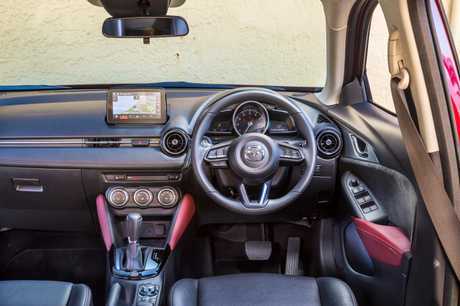 Much of the underpinnings are shared with the Mazda2 hatchback - even the dashboard, though it's covered in different material. Boot space is the smallest of this trio and the cabin is more cosy than the others, too. One of the trade-offs for the swoopy design: limited outward vision due to the small glass area, a criticism also levelled at the Toyota. As the most expensive examples of their model ranges, each comes with blind zone warning, lane wander alert and automatic emergency braking. However, you still need to see out of these things when you're parking, and the Subaru is best in this regard. The Mazda's 1:1-view driver's side mirror limits the view of the adjacent lane. The others have wide-view convex mirrors on both sides. Subtle cost-cutting measures include single-zone aircon, manual handbrake lever - the other two have electric park brakes - and a shallow centre console without a lid. Mod-cons include heated front seats and digital speed readout. The head-up display shows not only your speed but also the limit where you're travelling - except where the map isn't up to date. 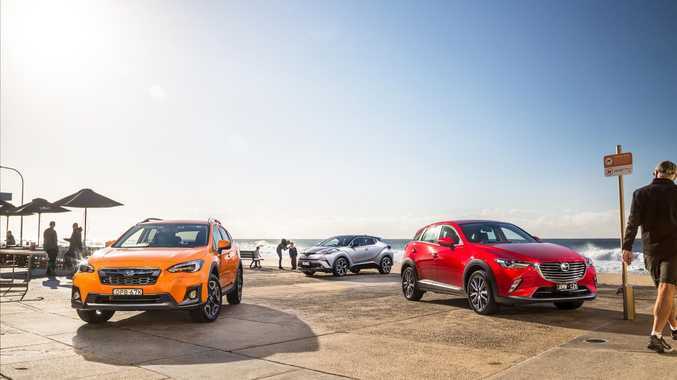 The Mazda holds the ace in this company with its 2.0-litre petrol engine matched to a six-speed auto and all-wheel drive. 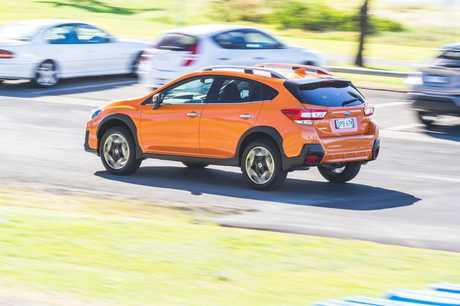 Even though it has slightly less power than the 2.0-litre Subaru, it's the zippiest among this trio due to its featherweight body and more effective, conventional automatic transmission. 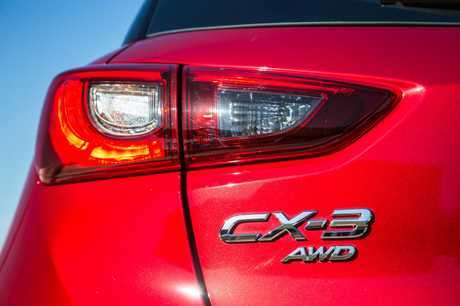 Despite a recent update, the CX-3 suspension is still underdone. It floats after hitting a bump - usually punctuated by a loud thump - and the steering doesn't feel as nice as the other pair. It's still the least Mazda-like car in Mazda's line-up. It's also the dearest to service among this trio, based on annual average distance of 15,000km. Clearly, however, buyers don't mind. It's been the top seller for the past 18 months. As the last in to the booming soft-roader segment, Toyota needed to be best dressed. That's why the C-HR is fully loaded, with radar cruise control, emergency braking from freeway speeds, lane-keeping assistance, front and rear parking sensors, rear camera, rear cross traffic alert and, as with the others, a sensor key with push-button start. It's also the best handling Toyota in a long time. 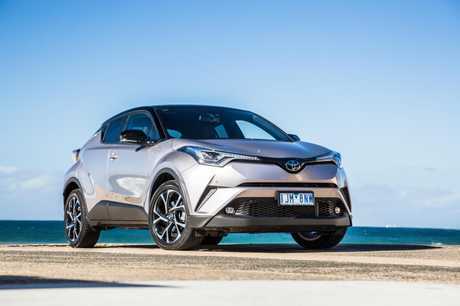 Based on completely new underpinnings that will form the basis of the next generation Corolla, the C-HR feels like a big car, with smooth steering and confident cornering grip. As with the Mazda, the tyres are skewed to sealed roads rather than rough tracks. 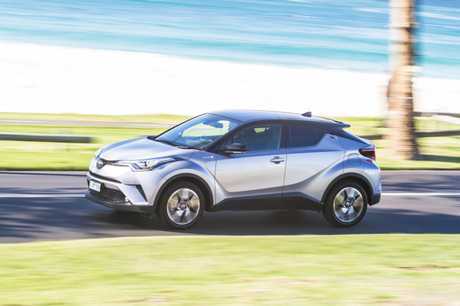 The C-HR will suit the needs of most city slickers - providing they're not in a hurry, thanks to the tiniest engine in its class: a 1.2-litre four-cylinder turbo. In pursuit of efficiency it is down on power; what little grunt it has is blunted by the continuously variable transmission. It also insists on premium unleaded whereas the others run on regular. It's more perky once on the move but you need to flex the right foot to change lanes or point it at a hill. On the plus side, the C-HR has by far the cheapest servicing costs and is the first imported Toyota to stretch to more convenient 12-month/15,000km service intervals, rather than six months/10,000km. Downsides? There's no sunroof in this top-end Toyota, even though both rivals have them, and there is only one USB port and one 12V power socket. So much for appealing to the connected generation. Subaru was one of the pioneers of the soft-roader segment more than 30 years ago, so it brings no small expertise to the creation of cars like this. 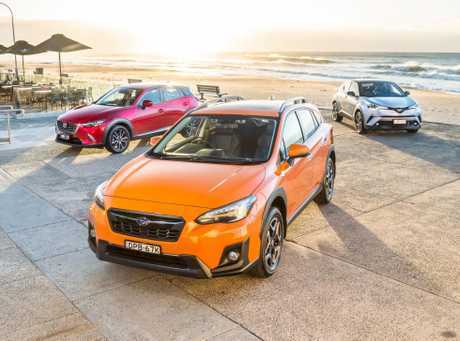 Unlike most rivals - based on stretched versions of city-car underpinnings - the second-generation Subaru XV is a high-riding version of an existing hatchback, in this case the new Impreza. In other words, the XV hasn't been stretched beyond its original template and feels more grown-up as a result. 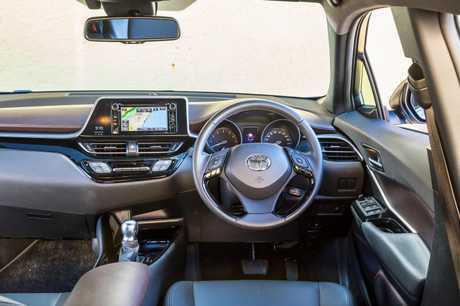 The interior has plenty of soft-touch materials and its three high resolution screens include a digital display between the analog dials and a large touchscreen that projects a pin-sharp image from the rear-view camera. All these cars have built-in navigation but only the Subaru has Apple CarPlay and Android Auto. It's also the only car here with tyre pressure monitoring. 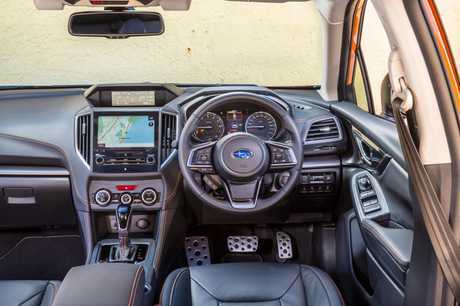 The XV also has by far the most practical and usable cabin among these three, with large consoles, door pockets and drink holders. One small annoyance: the sun visors are too short to block side glare. They need an extension. There are four USB ports (two of which are fast chargers) and two 12V power sockets. 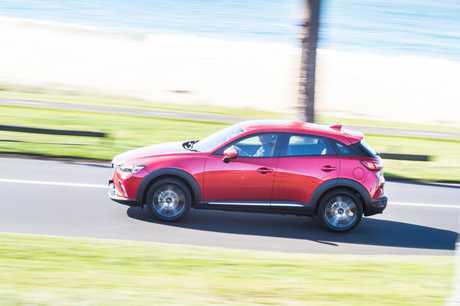 The adaptive cruise control uses cameras rather than radar to maintain a gap to the car ahead; the same tech also keeps the XV within its lane if you wander. It may be leisurely when moving from rest but once on the move artificial "steps” in the CVT make it feel like a conventional auto. 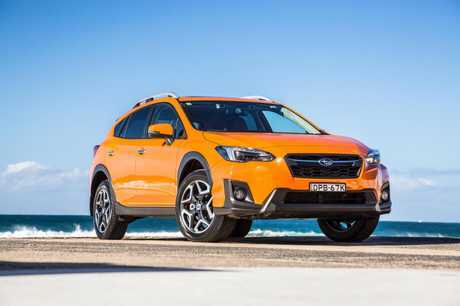 The XV has a plush ride and a slightly taller driving position thanks in part to taller suspension and more cushioned tyres biased to occasional off-road use. They also dampen the jolt in most speed bumps. Overall, the XV is an impressive vehicle. There are just a few caveats. Subaru's routine service costs are expensive - the 25,000km visit alone is $600 - and unlike the others there are no front parking sensors. 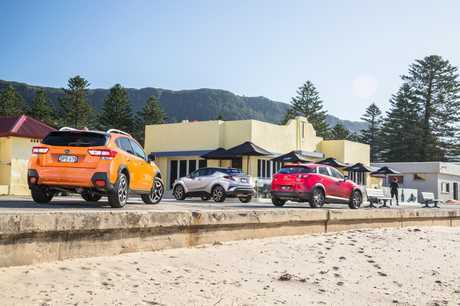 And while all of these cars deserve a rap over the knuckles for carrying only a space-saver spare tyre, Subaru's decision is more odd given there is room for a full-size spare. 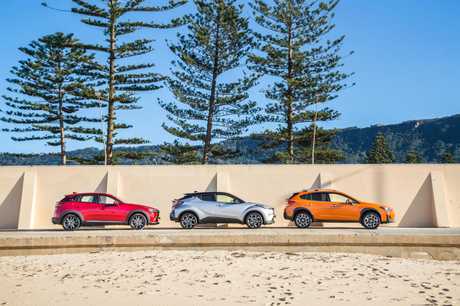 Battle between the 2017 Subaru XV, Mazda CX-3 and Toyota C-HR.